Can it be hard to diagnose? How is Hashimoto’s Thyroid Disease diagnosed? Is there more of it now than in the past? What are the main causes of it? Why do women get it more than men? How can someone know if they have it? Is iodine good or bad for the thyroid? Are there any foods that can help the thyroid? Can I eat “goitrogenic foods”? How much recovery is possible? Do natural thyroid medicines work? Do people need treatment for life? 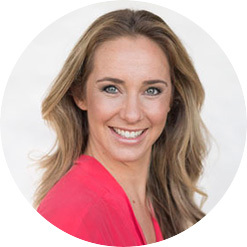 Lauren Beardsley is a Naturopathic Medical Doctor (NMD) specializing in Natural Endocrinology. Her personal journey of diagnosing and treating her own Adrenal Dysfunction and Hashimoto’s Thyroid Disease has brought a deeper understanding and passion for sharing her knowledge. Through her own health frustrations and setbacks, Dr. Beardsley developed a philosophy of what she calls “embracing struggle to achieve success”. She believes that in order to attain optimal wellness, individuals must first understand dis-ease. She personally relates to health obstacles and is dedicated to helping individuals understand their challenges and how they can overcome so that they can be the people they want to be for their career, for their family and for themselves. Her goal for all is Balance, Longevity and Resilience.